Patrick and Brandy McCormick, longtime Southern California residents, moved to Las Vegas in 2012 to further Brandy McCormick’s career in global IT recruitment for a capital investment firm. At the time, they rented a residence at The Ogden, before learning her job was relocating them once again, this time to Arizona. So when they started thinking about retirement and where they would buy their forever home, Las Vegas was an easy pick for the couple. Since the couple still frequently travels between Arizona and Las Vegas, they especially appreciate The Ogden’s on-site security and the peace of mind they enjoy with a lock-and-leave lifestyle. “Safety was in our top five when we were looking to buy, and The Ogden truly offers the total package. It’s located in the middle of downtown Las Vegas, which is rich in culture, globally inspired cuisine and a vibrant social scene. We love having Fremont Street right in our backyard and enjoy walking to some of our favorite casinos like The D and El Cortez. We used to own two cars, but we sold one of them because now we are within walking distance of everything we need,” McCormick said. The McCormicks have had a great time exploring the more than 150 restaurants in downtown Las Vegas, but Flock and Fowl on the ground floor of The Ogden is one of their favorite spots, which they frequent at least three times a week when they are in town. 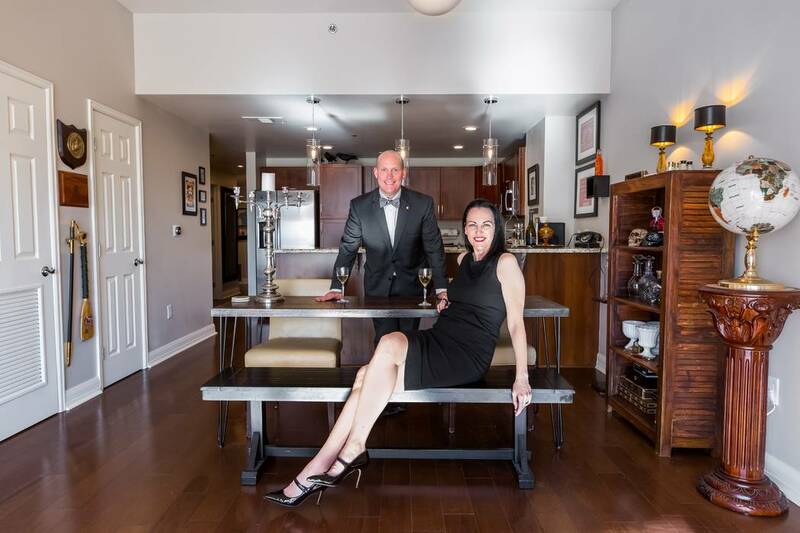 The couple also shared their appreciation for the revitalization and rebirth happening in downtown Las Vegas. “This part of town has become a magnet for so many great new restaurants and small businesses, it feels great to be a part of it,” McCormick said. “One of the most surprising things we’ve discovered is just how easy it has been to spark conversations with our neighbors. Patrick and I love stepping out on our balcony where we will often chat with other residents who are also enjoying their own balconies doing the same thing — taking in the views, enjoying a glass of wine and the opportunity to reflect and think in a beautiful setting. And when there are concerts or outdoor events nearby, we get to enjoy them from the privacy of our own balcony,” she said. 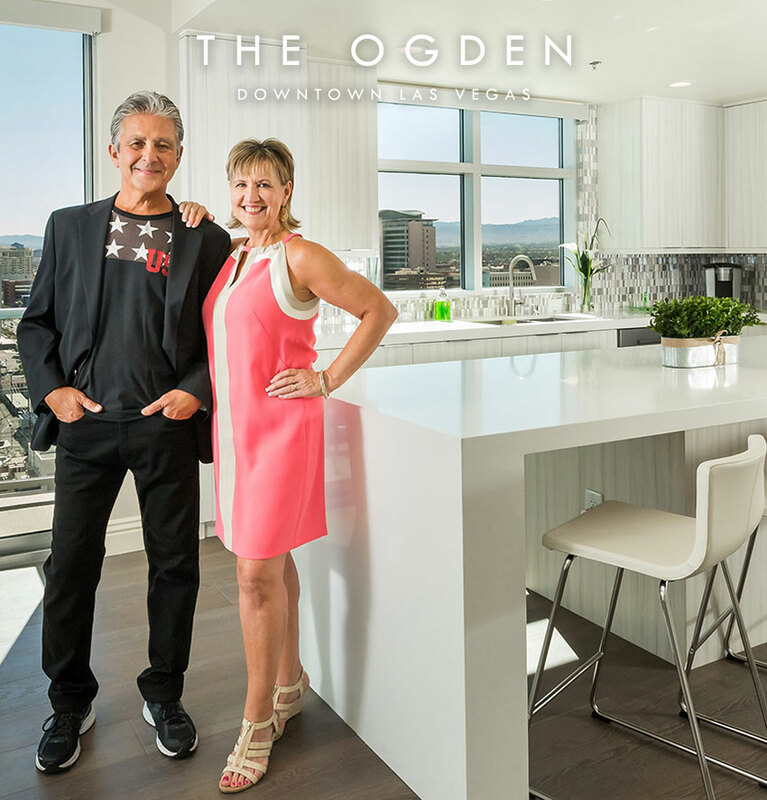 Since moving into The Ogden, the couple also has participated in many of the lifestyle events led by The Ogden’s lifestyle director, Evelyn Connors. Their favorite event is Wine Down Wednesdays, which takes place weekly on the Sky Deck overlooking downtown.